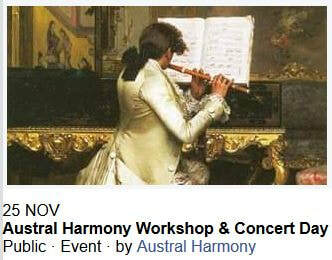 https://www.classikon.com/concert/austral-harmony-newcastle-25-nov-2018/ The weekend of Nov 25th Sunday we will host a Baroque Music workshop in the School Hall for those interested in early music in Newcastle. It is being organised in association with Austral Harmony - Karen Drury, Ruth Crosby, Nicole Sherringham and our flute teacher Sarah Monk. They are a group of Early Music enthusiasts, professional musicians and music teachers, based in Newcastle. 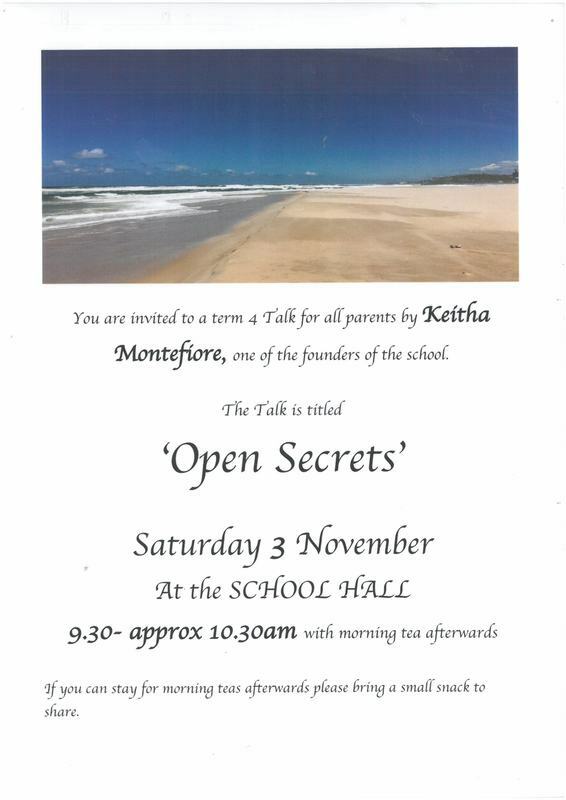 Gavin Clarke our cello teacher will also be attending. It will be a day of master classes and ensemble workshops, taught by visiting Baroque music specialist, Jane Downer. Jane is an internationally acclaimed oboist specialising in Early Music: The workshops will conclude with a concert to which our families are invited. We engage visitors like David Bowden to make connections with teachers and work with parents towards and artistic understanding of life and the world. at 2pm Saturday June 23rd. 49544853 or here. Flyer link. I ... mention .... the upcoming performance of One Thing More…the life of Caedmon, Britain’s first known poet, construed by Christopher Fry, & brought to you by a group of performers directed by Neil Anderson, of Harken Theatre, who also plays Caedmon. I certainly want to bring it to your attention now! 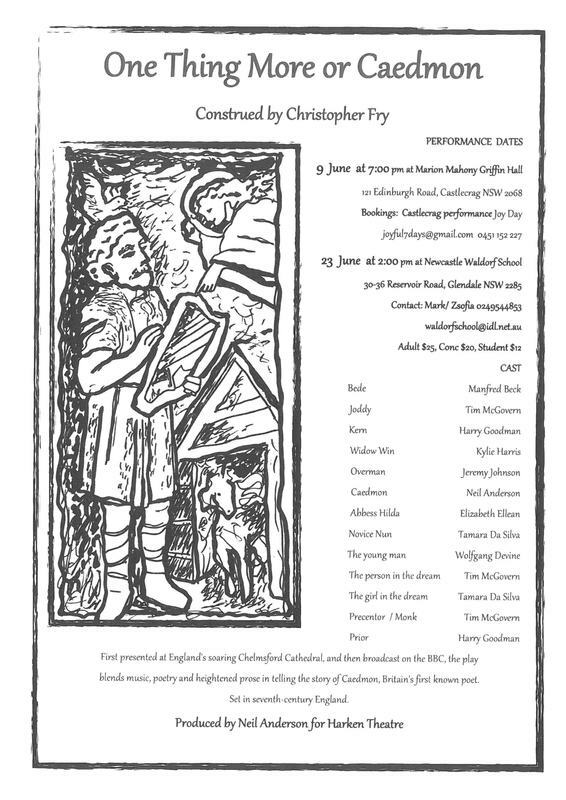 We have the opportunity to enter into the consciousness of C7 Britain, with a blend of music, poetry, & heightened prose in telling the tale of Caedmon, which was first presented in England’s soaring Chelmsford Cathedral. We encourage you to join us for another soulful evening as we move towards Mid Winter solstice festival, & re-kindling our inner light with purpose, in the darkness of that time. 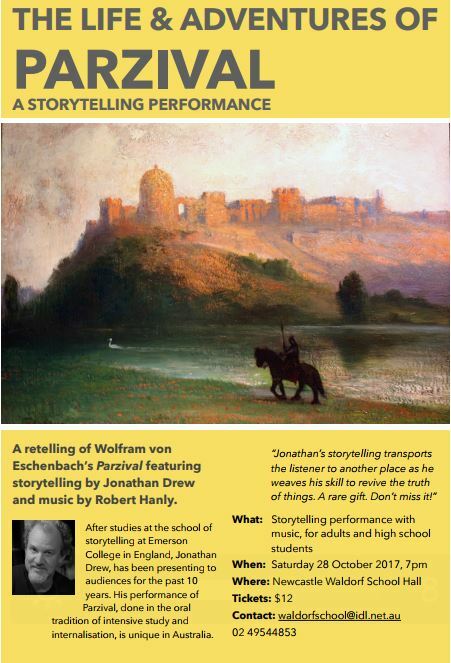 On Wednesday 4th April Mark Niell is bringing a speech, music and eurythmy performance of T.S. Elliot's Four Quartetts at 7 pm. Mark has been developing this work for nearly two years and it touches upon deep post War social question issues that still haunt us today. Here is the text available for reading prior. RSVP preferred. Donations appreciated. Lou Harvey Zahra will discuss the Twelve Senses Wednesday February 28th at 7pm in the Hall. Please invite interested friends, donation at the door. 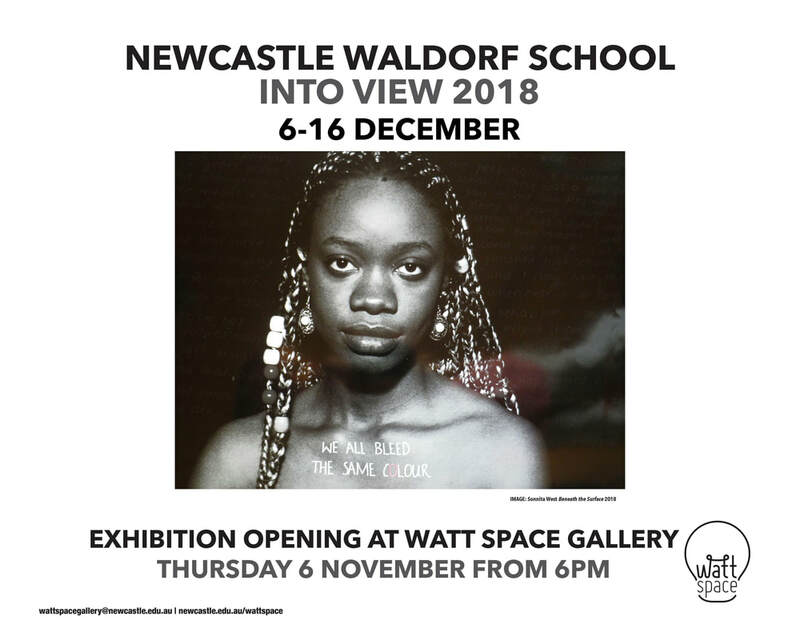 Here's a flyer link.